Once upon a time, you had to buy passage on a freight ship headed out to sea in order to see a stack of containers piled high to the sky all around you. 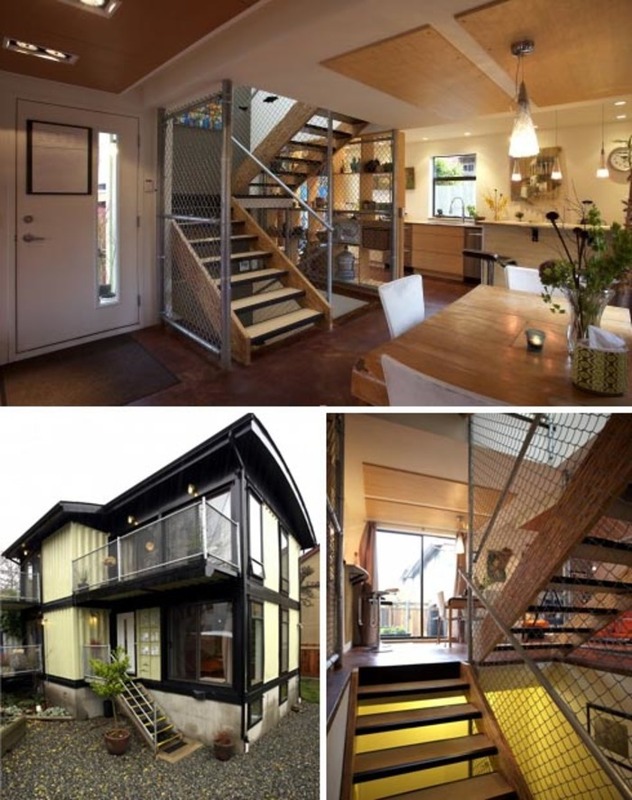 Nowadays more and more architects and builders are finding used free or for sale cargo containers at discount prices to construct all kinds of houses, homes and office structures. 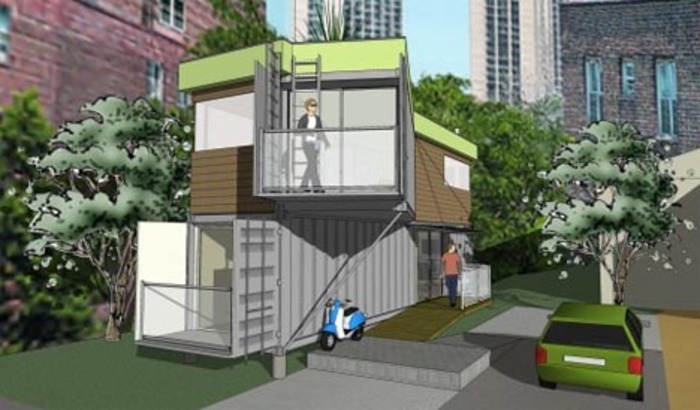 However, lest you think you need to go the route of hiring a professional, you should know that some do-it-yourself designers like Keith Dewey are making do with their own shipping container house plans. 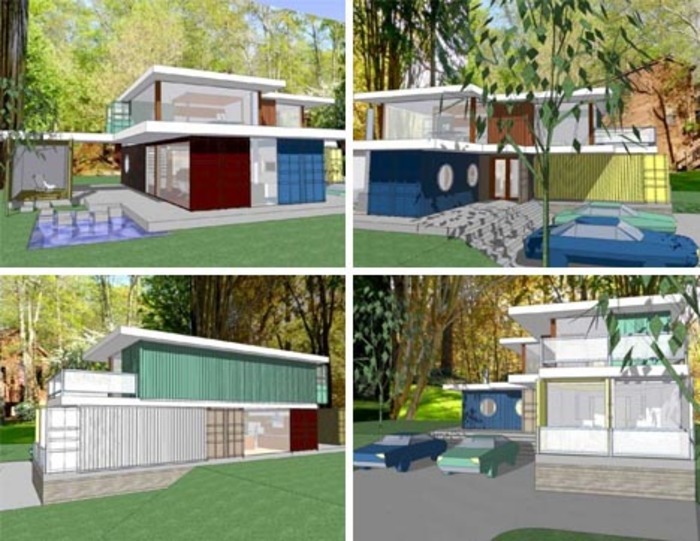 His own DIY shipping container house, for example is constructed out of eight used shipping containers stacked on a residential lot. On top of that he has come up with all kinds of engaging cargo home plans and designs that range from simply, sturdy and easy-to-construct to complex, conceptual, whimsical and nearly impossible to build. The above sequence of shipping container housing structures sits somewhere in the middle. Built around standard sizes, these buildings use a combination of the container cores and conventional wood framing, metal shed roofs and other inexpensive and conventional building materials and construction approaches. While it would be by no means a free ride to a new home, these standard components combined with used containers would help bring down the costs considerably. 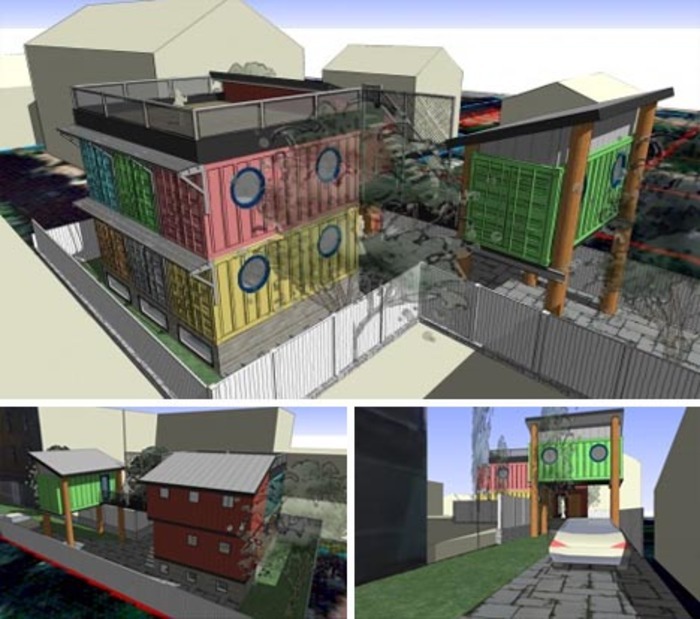 At the more conventional end of the container home design spectrum is this modern-style house that combines concrete, stone, glass, metal and a set of multicolored shipping containers at its core. While they bear little resemblance to their freight-bearing cousins of the sea, each container unit still stands out within the overall design. What if you heard there was a new condo space for sale, but that you had to bring your own condo with you once you buy it? 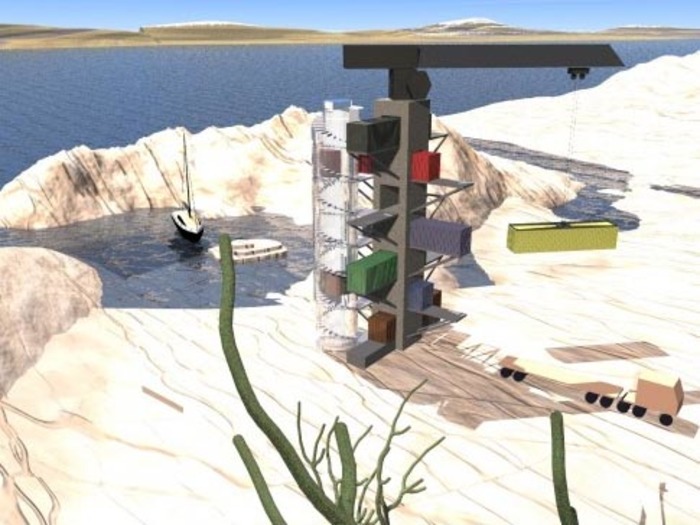 Talk about an extreme DIY project, this shipping container tower design is a great concept for futuristic portable and modular housing. Imagine being able to move by simply getting a list of prices, calling for a truck and shipping yourself and your home by land or sea to another tower of your choice.